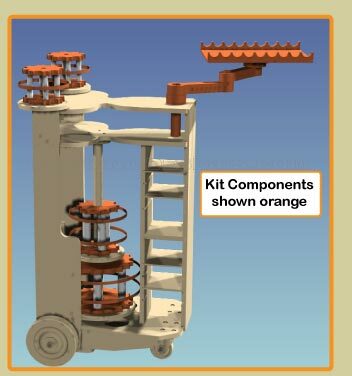 One of the design philosophies of our tool carts was to maintain backward compatibility. 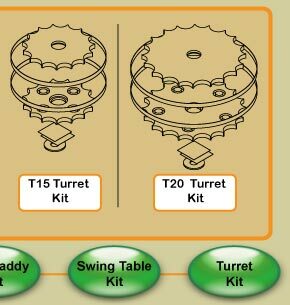 Therefore, the R6 Turrets and Swing Table will fit on the plans built R5-P. 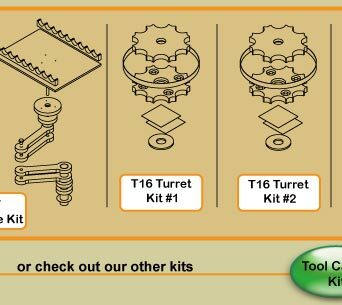 The R6 turrets are our next generation turrets that use a precision saddle which allows for two different tool tube diameters as well as reduces ingress of dust, bugs etc. within the turret assembly itself. 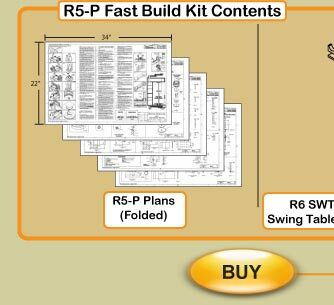 This new Fast Build Kit will greatly reduce the build time of the R5-P Tool Cart by including the difficult to fabricate parts. 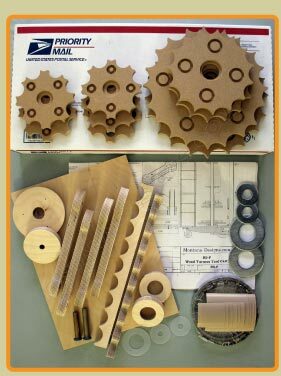 Alternately the builder may choose to forgo the R5-P chassis design and build a fully custom cart from the various kits using the plans as a guide.